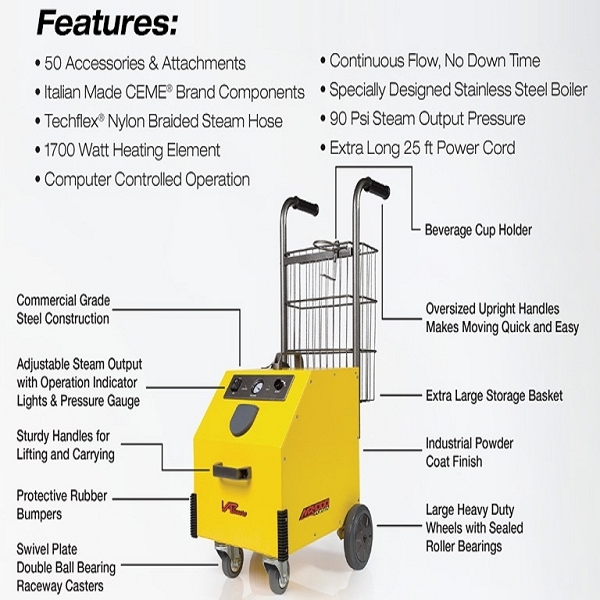 Performance, endurance, and total value are the core attributes reflected by the MR-1000 Forza Commercial Grade Steam Cleaning System. The Vapormore engineering team put over two years of intensive development and testing, to create the robust design, resulting in one of the most innovative steam cleaners the industry has ever seen. In Italian, Forza stands for "strength & power". 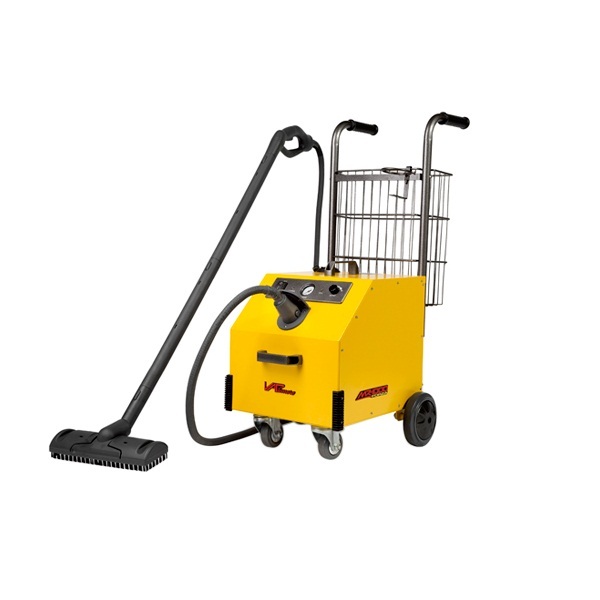 All over the world, MR-1000 Forza has greatly improved commercial cleaning for hundreds of business owners with star-quality restaurants and kitchens, auto shops and detailing, hospitals, residential care homes, and more. Additionally, experts in pest control found incredible value in the MR-1000 chemical-free treatment against bed bugs, dust mites, mold, and other allergens. The Forza commercial vapor steamer combines custom Italian manufactured CEME® brand internal components with commercial grade powder coated steel construction, continuous steam flow, computer controlled operation, and the largest selection of included accessories on the market. A specially designed extra large stainless steel boiler with 1700 Watt heater and 90 psi steam output enhance the power and execution of this world-class vapor steamer. Built for a lifetime of use, the MR-1000 Forza vapor steam cleaner is backed by superior customer service and the exclusive Vapamore Lifetime Warranty. Detail King also offers an array of tools and accessories that can be used on conjunction with the Vapamore Commercial Vapor Steamer. In addition, Detail King offers the highest quality interior microfiber towels and brush kits to be used along side the Vapamore Vapor Steamer, enabling you to achieve superior results. • Performance – It features one of most powerful heating systems in its class, producing steam over 320°F in less than 9 minutes and able to produce a continuous amount of steam. This machine makes it possible to do the ultimate interior/exterior full detailer in under 2 hours. • Convenience and safety – This unit is the ultimate all-in-one vapor steamer and comes equipped with everything needed to make your business an environmentally friendly success. • Durability – Built tough and rigid, this unit also offers 50 attachments superior to the competitions "flimsy" attachments. • Transport and storage friendly – This commercial unit features a tank capacity of 4.2 liters and weighs only 45 pounds, making this unit easy to move from place to place and store. 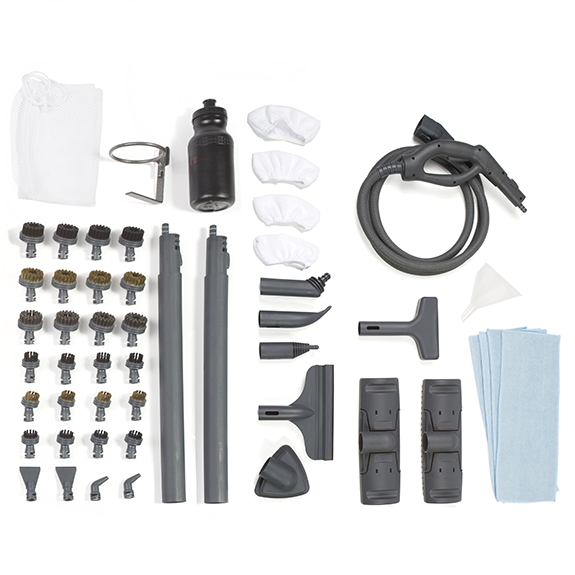 Perfect for a mobile detailer who is limited on space, time and money! Did you misplace your Vapamore MR-1000 Forza Vapor Steamer Manual? Note: *Vapor Steamers Cannot Be Returned Once They Have Been Used! If There Is a Manufactures Defect Causing The Unit To Work Improperly It Will Be Replaced or Repaired.